Where on earth did November come from? I’m actually quite sure that it was just a week or so ago that the kids went back from the holidays and now they are just about to start back for Autumn half term… Life goes crazy quick when you have children! You have probably guessed what is about to come, in fact if you are still here reading this then maybe you are here because you like the direction my layouts have been taking? 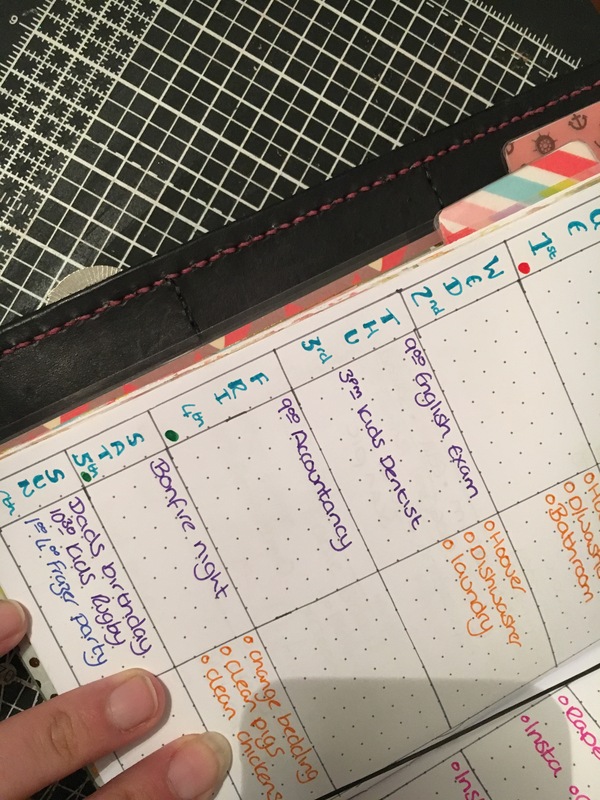 After changing up my layout last week, to the “bullet journal” type layout I found my planning to be productive and efficient, things got ticked off from the list and I actually ended the week feeling accomplished (that’s saying something in half term week). Ok, things happened that were genuinely out of my control and I couldn’t tick some things off the list but I’m ok with that, I found a solution and moved on! I even managed to make a start on somethings I had planned for this week coming! Feeling inspired I headed to Pinterest and “borrowed” some ideas to come up with a layout that “made my heart happy”…. Not the prettiest, not a sticker in sight and not a single f given!! I.LOVE.IT!!! The key at the bottom is one I’m going to carry through now and the green/red colour coding is for money in vs out which I mark with a dot over in the day box. 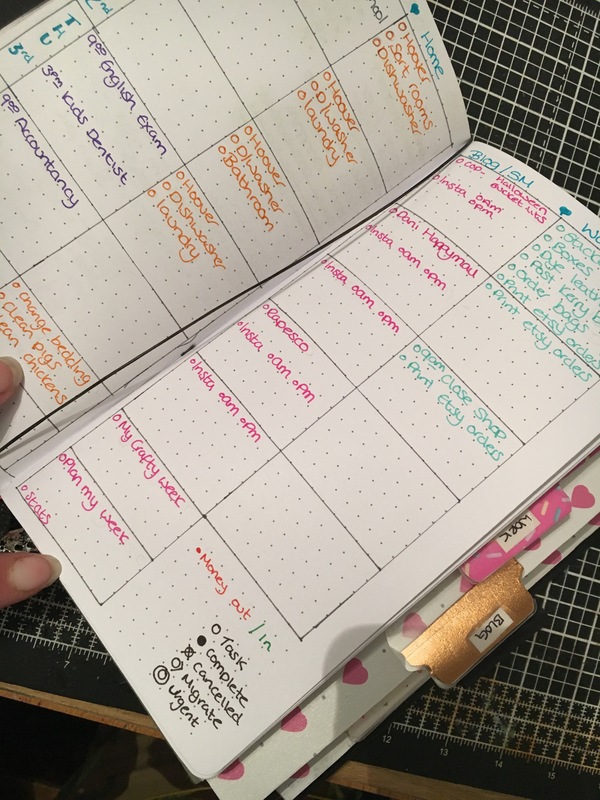 I love that it’s easy to read and I have everything to hand but I think I might go for a typical “bullet journal” layout next week rather than the boxes. To view the corresponding video click HERE! If you have any bullet journal blogs or YouTube channels then leave them in the comments and I will be sure to check them out. P.s I got right to the end before mentioning my UglyDori, did you think I’d forgot?